For the 25th consecutive year, Downtown Venice will be the home to one of the finest art festivals in the country! An eclectic array of original art will be on display and for sale this weekend, November 3 – 4, 2012. This popular juried art fair features over 150 artists from approximately 30 different states providing art enthusiasts with a unique opportunity to explore a wide variety of art in one setting. The show appeals to people of all ages including families, art enthusiasts and serious art buyers looking to add to their collections. The festival benefits Venice Main Street, dedicated to preserving and maintaining downtown Venice as a desirable destination. Admission is free and open to the public. We have produced this art affair for the past 25 years introducing residents and tourists who flock to Venice and the surrounding areas to leading artists from around the country while showcasing the finest local and regional artists the state has to offer. The Downtown Venice Art Festival is just one of numerous shows on Florida’s west coast we produce; others include the popular Downtown Venice Art Classic each March as well as the Downtown Sarasota Festival of the Arts, St. Armand’s Circle Art Festival, Hyde Park Village Art Fair in Tampa and many more. The Downtown Venice Art Festival has expanded through the years with the community’s support and has become a highly anticipated annual tradition in Venice. We have been also been given the pleasure to have not one but two artists provide us with pieces of their work to giveaway this weekend! 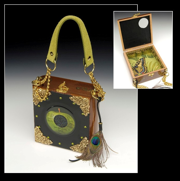 Our very talent artist, Elaine Laurent, will be holding a giveway for this beautiful handmade purse. Enter to win this piece on Saturday, November 3rd in her booth. For additional information on the 25th Anniversary Downtown Venice Art Festival and any other Howard Alan Events shows across the country, please visit www.artfestival.com, join our Facebook Page at www.Facebook.com/HowardAlanEvents or call 561-746-6615. See you all at the show! The first major outdoor art festival of this season hits the streets of Hyde Park Village this weekend, October 27th & 28th, with a blast of pink! Howard Alan Events has partnered with the signature breast cancer division for the American Cancer Society, Making Strides Against Breast Cancer, to raise funds and awareness for breast cancer research. Along with many of the merchants and exhibiting artists displaying special pink handcrafted gift items, there will be a special giveaway happening where you will have the chance to support the cause and make a $1 optional donation for a chance to win an original “Fight Like A Girl” specially decorated bra. This one of a kind garment has been designed and donated by the pink petticoat. In addition, the lucky winner will receive an after hours private shopping party for ten people at the pink petticoat store, which will include champagne and desert or wine and cheese as well as store wide discounts, a value of $200! Every penny of the proceeds will go directly to Making Strides Against Breast Cancer. The drawing will be held on Sunday at 3 pm and the winner will be notified via cell phone. The festival will include more than 150 of the finest artists from over 30 different states as well as the top local talent, including photographer Linda Mayes (from Venice, FL), mixed media artist Susan Lane (from Key Largo, FL) and jewelry designer Lori Kay Olling (from Tampa, FL). Each of these artists will have their specially created artwork on display and for sale in honor of Breast Cancer Awareness Month. Be sure to check out the Lexus exhibit where you’ll see the finest in car offerings on display along with the Werther’s Original exhibit where you can sample their delicious candies, have your picture taken in the photo booth and much more! Come down (or up!) and enjoy a family friendly event which will run Saturday and Sunday from 10 am through 5 pm along Swann and Dakota Avenues in Tampa. See you there! Hyde Park Village Art Festival Gets Pinked Out This Weekend! This weekend, October 20th & 21st Las Olas Boulevard in Downtown Fort Lauderdale will be lined with over 200 national artists and fine crafters. This top ranked art festival is the first major fall outdoor art event. This year marks the 25th Anniversary of the show! Along with the artists and crafters, be sure to check out the extras below! The following Las Olas merchants are offering “Art Fair Specials” during the show, Saturday & Sunday 10AM-5PM. Be sure to stop in these stores for these great discounts during the show! Take 10% off the entire store! Browse over 300 styles for $39 or less! The hottest designer shoes like Cordani, Pons Quintana, Bernardo & more under $100. 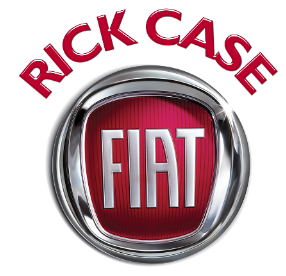 Make sure to stop by the Rick Case Fiat exhibit located at 9th & Las Olas. 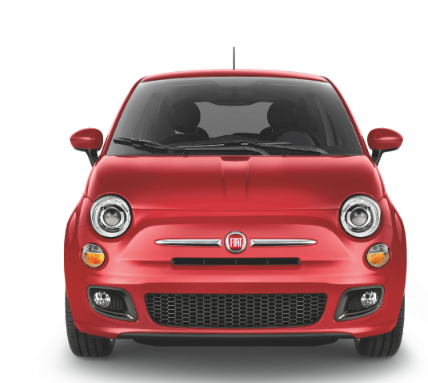 Check out the new Fiats inside and out. Also enter to win $45,000.00 in Chrysler Cash. You can use it towards any Chrysler Vehicle but we recommend a HIS and HER FIAT. Good Luck! The winning package must be used November 2 – 4, 2012, during the art festival. 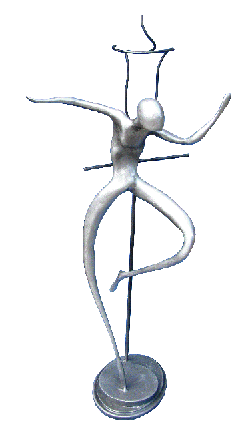 Enter to win Elaine Laurent’s piece on Saturday, November 3rd in her booth. Enter to win Steve Whitlock’s piece on Sunday, November 4th in his booth.